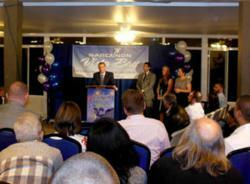 Local dignitaries join Narconon Vista Bay staff and graduates in acknowledging 20 years of service to the community. We aren’t just helping addicts, we are saving lives, putting families back together and helping the next generation make better choices. It was twenty years ago that Narconon Vista Bay first opened its doors to offer help and a program to those struggling with addiction to drugs or alcohol. Since 1992, this group has expanded into three separate properties spread throughout Northern California, all offering the innovative and successful Narconon drug rehabilitation program. On the 2nd of November, the staff joined graduates, local dignitaries and community members to celebrate the completion of these twenty years of life-saving work. Anyone who has lost someone to drugs or alcohol knows that addiction can be a life or death matter. People who had fallen prey to alcohol, heroin, cocaine, methamphetamine or other drugs needed a more effective solution for their recovery. But society’s drug problem starts much earlier, when its school-aged children are trying drugs for the first time. Due to this, when Narconon Vista Bay started offering drug rehabilitation in 1992, they also began to provide drug education services to schools, clubs and community organizations. On the night of the event, the weather was warm, sunny and calm; perfect for a community event. Present to celebrate the decades of successful rehab and education were Greg Caput from the Santa Cruz County Board of Directors and Letitia Perez, from Luis Alejo's State Assembly office. Rodrigo Ubillus, who oversees community outreach and drug education for Narconon Vista Bay hosted the event. He also received a special award from Narconon International for his many years of working with youth in the area. Proclamations praising Narconon Vista Bay and celebrating their success and good work were received from the Cities of Watsonville, Seaside and Santa Cruz, the State Assembly and the Santa Cruz County Board of Supervisors. 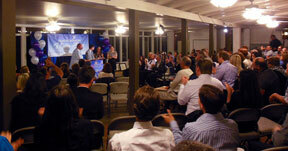 The City of Santa Cruz proclaimed November 2, 2012 as Narconon Vista Bay Day. The Executive Director of Narconon Vista Bay shared stories about the days when the organization started in a simple home, to eventually expand into three residential facilities: one overlooking Monterey Bay, one just a few blocks from the shores of Lake Tahoe, and a third tucked into a private corner of the woods in Placerville. The representative from the Santa Cruz Board of Directors, Mr. Greg Caput, acknowledged those graduates who were present for their hard work in overcoming their addiction. The families present shared stories of getting a loved one back from drugs as a result of the Narconon program and graduates told tales of how they finally found lasting sobriety at Narconon Vista Bay, sometimes after several attempts at other types of rehabs. For more information about Narconon Vista Bay, contact Rodrigo Ubillus at 800-556-8885 or visit on the web at http://www.narcononvistabay.com.